Absences from school, whether due to illnesses or other circumstances, can disrupt a student’s academic routine. Additionally, as absences accumulate, students often experience stress due to missing work, growing to-do lists, and missed instruction. While some absences are unavoidable, there are strategies that students and families can employ to reduce the negative impact that absences might cause. If possible, parents should let the school know about upcoming absences, especially if the absences are going to span over several days. For middle and high schoolers, parents can contact the attendance secretary or their child’s guidance counselor. These points of contact can quickly pass on the information to all of the student’s teachers so that everyone is aware of the upcoming absence. Parents and/or students should let teachers know of absences well in advance when possible. Surgeries, orthodontist appointments, vacations, etc., are often scheduled farther in advance. The sooner teachers are made aware of the upcoming absence, the more likely they will be able to organize work for the days that the student will miss. This allows students to keep up with the work as opposed to playing catch-up upon their return. Utilize online resources, such as Google Classroom, class websites, and school portals. Nowadays, teachers are posting everything from extra handouts, copies of the homework, and PDFs of class texts, to entire lessons and PowerPoints online for students and families to access from home. If students are well and able to complete work from home during an absence, encourage them to use online resources to keep up with the coursework. Remember, specific questions, especially from a student who has missed class recently, are highly encouraged; teachers are thrilled to see students being proactive and accountable for their schoolwork. Especially for lengthier absences or family vacations, students may want to draft a plan for make-up work upon their return. If materials cannot be gathered in advance, ask teachers about setting up work sessions during lunch, or before and after-school tutoring, upon return. For middle and high schoolers, who will likely need to arrange several sessions with multiple teachers across multiple content areas, set a weekly goal for work completion to keep it on track. Make sure that goals are realistic: if a student has been out for a week, it is unlikely that he will be able to complete all missing assignments over one lunch period. Students should avoid putting too much pressure on themselves, as that can foster stress and result in procrastination. However, they also must try to be diligent about the make-up work to avoid digging themselves into a hole if schoolwork begins to pile up to an insurmountable degree. Prioritize the make-up work so that the most critical assignments are accounted for first. 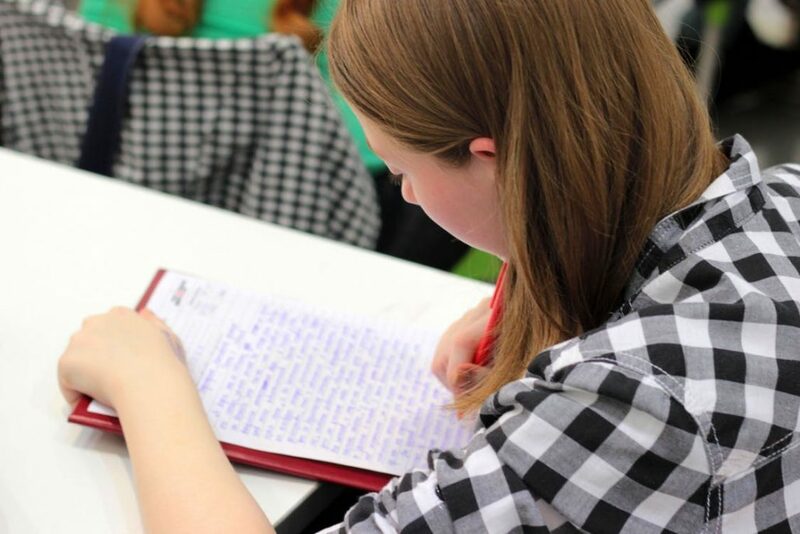 For extreme illnesses or surgeries, counselors and administrators may decide to “excuse” students from small tasks, like homework assignments or practices. 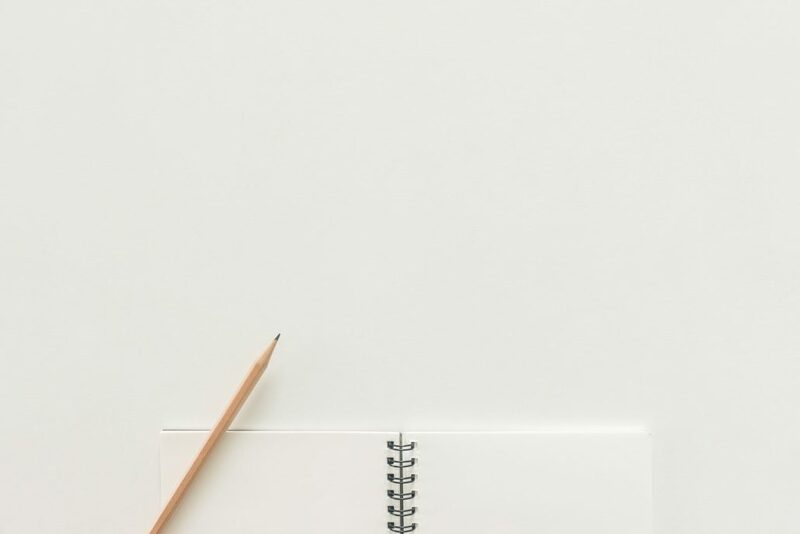 As long as a student can demonstrate mastery on major assignments, assessments, and tasks, the smaller items may be removed from the workload. This time of year can be met with mixed emotions from students. Yes, spring break is on the here, which gives students, parents, and teachers a brief, but much-needed reprieve from the stressful school day. Yet spring is also the time in which schools are gearing up for testing season. For middle schoolers, these tests may include benchmark assessments to gauge math and reading growth, like Map-M and Map-R. Middle schoolers will also be taking the Partnership for Assessment of Readiness for College and Careers (PARCC) assessment. 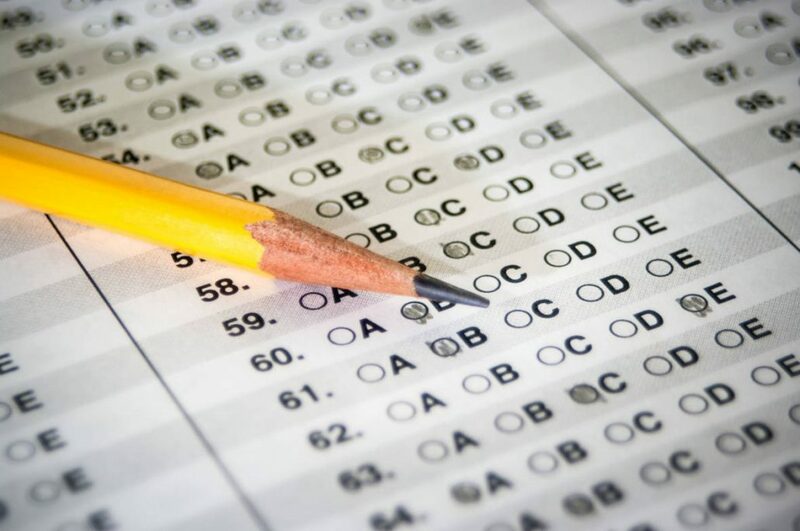 Because of the “high-stakes” mentality associated with these sorts of exams, the weeks leading up to and during testing can be rather stressful for students, parents, and teachers. However, there are strategies that parents and teachers can use to help middle school learners prepare for and thrive during these tests without becoming overwhelmed by stress or pressure. Remind middle schoolers of strategies and routines that are within their control. Test-taking can be stressful due to the uncertainty and lack of control. To boost confidence and instill beneficial practices, talk to students about how they can put their best foot forward before even sitting down to take the exam. Jumpstart their day with a healthy, filling breakfast that will keep middle schoolers fueled through the morning. Parents and teachers may want to consider providing students with a small snack during testing to keep the hunger edge off. Check with the school about their protocol for snacks while testing and consider packing a water bottle with your child as well. Hunger and thirst can be major distractions when it comes to learning, so a little pick-me-up might go a long way with keeping middle schoolers motivated and attentive during a morning of testing. For any number of reasons, likely technology-related stimuli, middle schoolers are getting less and less sleep these days. Breaking poor sleeping habits can take a while before the body truly adjusts to a new schedule. Take action early by encouraging middle schoolers to adhere to a 7-8 hour sleep schedule leading up to assessment week. A regular sleep and wake time helps the body adjust to a healthy circadian rhythm, which will stave off any fatigue and keep students alert and focused during testing. Think positive thoughts. Remind students that a test is simply one indicator of learning. And while we would like middle schoolers to take their testing seriously, we do not want them to be consumed with anxiety and stress. The mantra “do your best, forget the rest” helps learners to focus more on genuine effort and less on perfection or final scores. Annotating is a practice that middle schoolers have probably been honing throughout the school year. 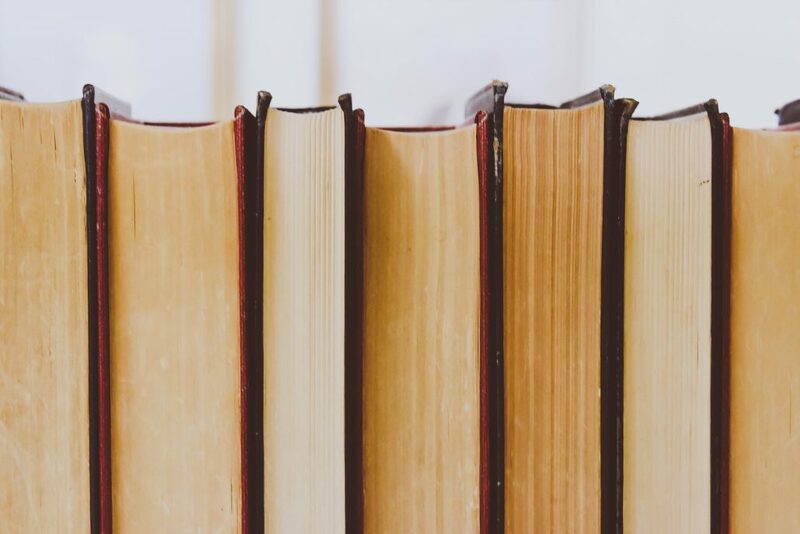 Obviously, close reading and analytical thinking skills are beneficial across content areas—annotating is a practice that students are completing in science, history, English, and even math. Additionally, close reading and annotating can greatly help students during assessments as well. A helpful strategy is to provide students with practices in which they annotate test questions, text excerpts, and written response prompts. The key is to help students identify what a question, answer option, or prompt is truly asking. By highlighting key words, breaking down questions, or rephrasing questions, students are better able to focus their thinking. Parents should also remind middle schoolers about any 504 or IEP accommodations that they should be granted for testing. Some assessments, like PARCC, do not allow for certain accommodations; however, accommodations apply during other tests. Parents, children, and teachers must be on the same page when it comes to testing accommodations for major exams or standardized tests. When in doubt, ask—this way children know what to expect on exam day and are not thrown off by a possible lack of accommodations. Considering our proximity to D.C.’s many museums, theaters, and other cultural hubs, there are countless engaging options for your family to experience together this winter. Especially as the holidays approach, options will be plentiful: festivals, concerts, plays, ballets, and other performances. Consider taking in a show, visiting a museum, or simply touring the neighborhood’s Christmas lights. Plan ahead by checking Groupon and other sites for deals on attractions, discounted events and performances, and student rates. Museum visits are a great free option to explore art and history with the whole gang—not to mention, they are a great place to escape from the bitter winter weather while still stretching your legs. Afternoon matinees can prove to be a wonderfully inexpensive way to get the family together for a few hours of entertainment. Another option is to have a weekly family book club, in which every member of the family reads the same book. Once a week, make some popcorn, get comfy in the living room, and discuss the recently read chapters. Once everyone has finished the book, consider renting the movie version, as many young adult and family novels have been adapted to film. After the movie, encourage a mock-film study, in which you talk about how the movie and the book are similar or different, and which one each person preferred. Then, allow someone else to choose the next novel/movie combination. Keep the weekly book talks going until everyone has had the chance to select a novel for the family. To save money, consider checking books out at the local library or purchase used books online. For struggling readers, consider an e-book or audiobook version so that children can follow along while listening to the book aloud. Ice skating, bowling, or an afternoon at the trampoline park can provide much-needed exercise when cabin fever starts to hit in the winter months. 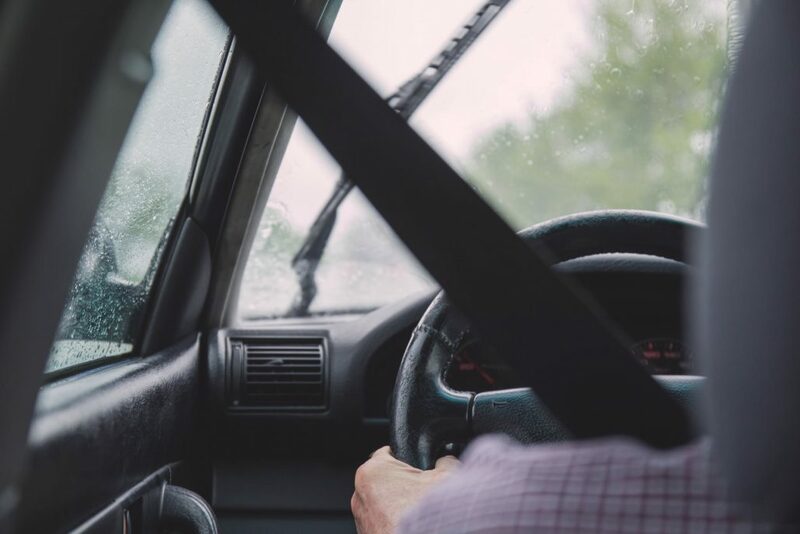 As opposed to chauffeuring each child from activity to activity, family team time allows for one trip, to one agreed-upon activity, all together as a family. Want to stay in? Try a competitive Top Chef-inspired cooking challenge, in which each member chooses a flavorful pancake topping, unique pizza toppings, or quesadilla fillings. An impartial blind taste tester is all you need to settle the sibling rivalry or family food feud! As opposed to hustling from game, to recital, to playdate on a busy weekend, consider volunteering as a family. Clean out the toy room and closets to donate to children in need. These gestures show children that the holidays are not only about receiving, but also giving. Decide as a family to demonstrate the spirit of giving by helping out at an animal shelter, soup kitchen, book drive, etc. After volunteering, discuss each family member’s favorite moment of the day—what was the best part of volunteering? What did you learn? Equity, as far as the Oxford English Dictionary is concerned, is defined as “the quality of being fair or impartial.” Simple enough, right? 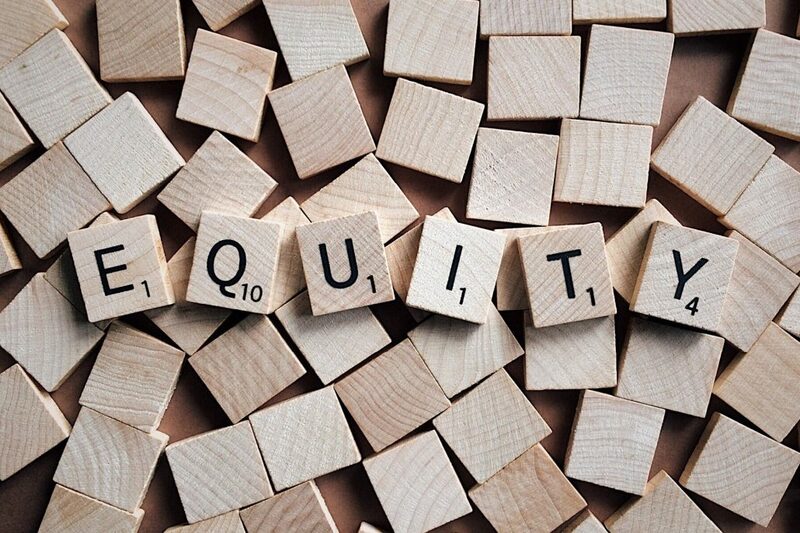 Yet, at home with children and teens, the concept will probably require further conversation to teach kids not only what equity means, but what it looks like. One way to begin teaching children about what it means to be equitable is by teaching them what is not equitable. Contrary to what many children believe, equity and equality are not synonymous. By this, we mean that equity does not signify that everyone receives the same thing, whether that be treatment, assistance, gifts, awards, allowance, etc. Instead, equity means that everyone receives the same level of what they need. Again, this concept could be difficult for children to grasp, especially when fairness becomes a point of contention. When parents need to put the focus on equity, not equality, they can begin by explaining the reason behind certain parental decisions. For example, Alex is 6 years old and Abe is 16 years old. Both boys perform chores around the house for an allowance. However, because the stark age difference significantly distinguishes each child’s ability to perform certain chores, tasks and allowances will not be equal—but they will be equitable. Let’s look at the details: Alex, the 6-year-old, feeds the fish, sorts his laundry, and helps put groceries away. For these age-appropriate tasks, Alex receives $5 a week as his allowance. This amount is enough for Alex to buy a book at the school book fair, which he desperately wants. Now Abe, the 16-year-old, completes chores for the family, as well. Since Abe is older, he is trusted with the responsibility of walking the dog every evening, mowing the lawn, and helping clean up after dinner. For these tasks Abe receives $30 per week, which he puts towards gas money. While this example is hypothetical, a scenario like this makes sense for explaining equity. Abe and Alex are both contributing to household chores. However, the level of work, and therefore the level of pay, differs to suit each boy’s needs. Another way to explain equity to children is to use an example that they have likely encountered in every parking lot—the handicapped parking spot. Much like the school accommodations for students with special needs, handicap parking is an accommodation to ensure equity for drivers with disabilities. Obviously, handicap parking spaces are not equal to all of the other spots—they are much closer, more convenient, and sometimes larger. However, equality among parking spaces would mean that the parking lot is inequitable for drivers with special needs. Remember, children need to realize that equity involves everyone getting what they need. An able-bodied person does not need to park closest to the entryway of a building, but a handicapped person does. The designated spaces ensure that they receive what they need, which in this case is an unobstructed parking space that is close in proximity to where they are going. Key takeaways for children and teens is that fairness, equality, and equity are not synonymous terms. Equity revolves around each person’s individual needs and circumstances. Remind your children that we may not be aware of a person’s individual needs. Therefore, if it appears that someone else is getting “special treatment,” consider the obstacles, limitations, or other factors that may be at play. What appears to be unequal is often equity at work. A child’s homework routine can make all the difference at school. 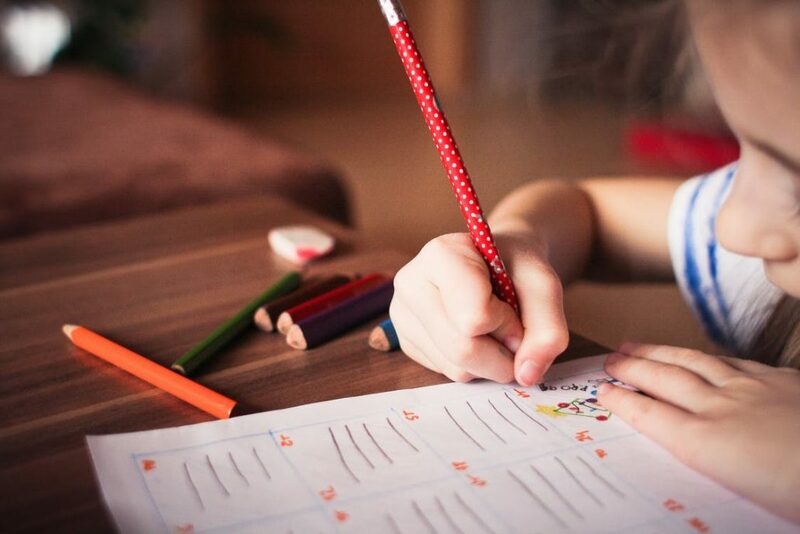 Even at the elementary level, a consistent homework plan helps young students to develop good study skills, as well as a strong foundation for time management, organization, and responsibility. But what happens when homework time becomes a jumbled rush for completion? This is the case for many families when siblings of varying ages need guidance to complete their homework. With the craziness that is the average school night, parents can only do so much when it comes to homework help. Logically, a parent can only help one child at a time—so what are some strategies to ease the stress of homework time for a family with multiple school-age children? Read on to find out! Keep everyone organized by planning and maintaining a consistent homework routine. This should include specific homework times and areas of the house where homework will be completed. Avoid allowing teens to complete their homework in their bedrooms, as this is likely the least productive place for them. Keeping everyone in the same general vicinity of the house can allow parents to bounce from helping one child to the next. To keep the practice smooth and productive, insist that homework happen without distractions like television, social media, video games, etc. Set aside time to help the youngest children first. Since their homework assignments will likely be easier and shorter, consider helping them prior to the older kids.This schedule also makes sense since younger children usually have an earlier bedtime, which will allow you to help the teens with their assignments once the younger ones are asleep. Ask the older children to self-manage and take the initiative to start homework on their own. Depending on afterschool activities, families may be even more limited when it comes time to hit the books. This is a reality for many families, so encourage teens to get a jump start and jot down any questions or difficulties that they run into while working. This way they will have something to refer to when it is their turn for parental help. Make a homework checklist for elementary-age students to highlight expectations and guide their efforts. For younger learners, parents will likely need to prompt the elementary children to get started, stay focused, and move between tasks or assignments. The checklist also helps children to begin to self-monitor while working. Encourage older siblings to assist the younger children with their homework assignments. This sort of practice mimics the peer-teaching strategy, in which students build their own knowledge by teaching someone else the concept or skills. The younger sibling is not the only one to benefit from the tutoring assistance. By helping the elementary schooler, teenagers also develop communication skills, interdependence, and self-confidence when demonstrating concepts or tasks in a way that the elementary schooler can grasp. Utilize alternate times for completing homework. Afternoons can be chaotic, but mornings can be equally stressful. However, if one of your children is an early riser, consider using some of the morning time for homework help, quiz review, or independent reading assignments to free up time later in the day. Just be sure that if you allocate part of the morning for homework that you carve out enough time to complete everything necessary. The final weeks of the school year are often filled with excitement, angst, and a touch of impatience for students, teachers, and parents alike. The quickly-approaching summer months spark joyous anticipation. While many students begin to see the light at the end of the tunnel, May and June can prove to be difficult months in terms of maintaining focus and perseverance. It becomes a challenge to keep the attention of children and teens when, truth be told, they are likely daydreaming about their summer vacations. Below are tips that parents can try at home to promote effort and motivation through the end of the school year. Embrace the outdoors for studying, homework sessions, or leisurely reading. One of the main difficulties towards the end of the school year becomes the allure of the beautiful weather. Gone are the layers and umbrellas, which unfortunately means a bit of focus disperses as well. Allow your child the option to complete school work outside. Be sure that work is still the main focus, but a pleasant backdrop will help make the work time fly by a little quicker. This could mean working on the porch, in the yard, by the pool, etc. Maintain structure and continuity with the bedtime routine or weekly schedule. No matter the age, kids and teens need consistency. Yes, the days are longer and the weather is more enticing than ever. But this does not mean that bedtime expectations or nightly routines should be left by the wayside. Keep firm in your expectations to ensure that the approaching summer vacation does not derail the routines you have spent all school year building. Remind your child of his or her academic goals. Do not let vacation anticipation, field trips, pool parties, etc., to take center stage just yet. As they say, “It’s not over until it’s over.” Talk together about how hard he or she has worked this year, and the importance of maintaining that momentum to honor that determination. No one wants to see oneself unravel right at the tail end of the race—the same is true with the school year. Reflect on the year—both the hardships and the triumphs. This look back is another way to build motivation and drum up a last-minute second wind. Talk about personal growth and how to use everything gained from this school year as a foundation for the next. Looking back, as well as looking to the future, ensures that children keep their eye on the ball. Provide incentives for a job well-done. Again, we have all been there—the anticipatory angst when praying for summer break to commence. Knowing this, parents and teachers can dig into their bag of tricks to help incentivize the more reluctant or checked-out learners. If you know that your child is lacking motivation, discuss or negotiate incentives for hard work in the remaining weeks of the school year. This can mean an extra playdate, a new skateboard, a trip to the pool, etc. Hold your ground when discussing incentives, however. Children begin to grasp intrinsic motivation when extrinsic deals and expectations are set.